I have a file that I'm working with that someone else put together. It has about 20 images on it. Each one has a clipping mask on it. When I turn the clipping mask off, about 50 images are really there for each image. This has made for a huge file because each one of those 20 images really has a huge imported file with the 50 images in it. If I turn off the clipping masks, I have 1000 images so I can't get it to the printer. Is there any way of getting rid of the additional images without reimporting them by themselves? I don't have the original file to do so. I could pull them into Photoshop and do it that way but is there a way to delete the ones not needed in Illustrator. All 50 are part of the same imported image, just clipped to show them by themselves. 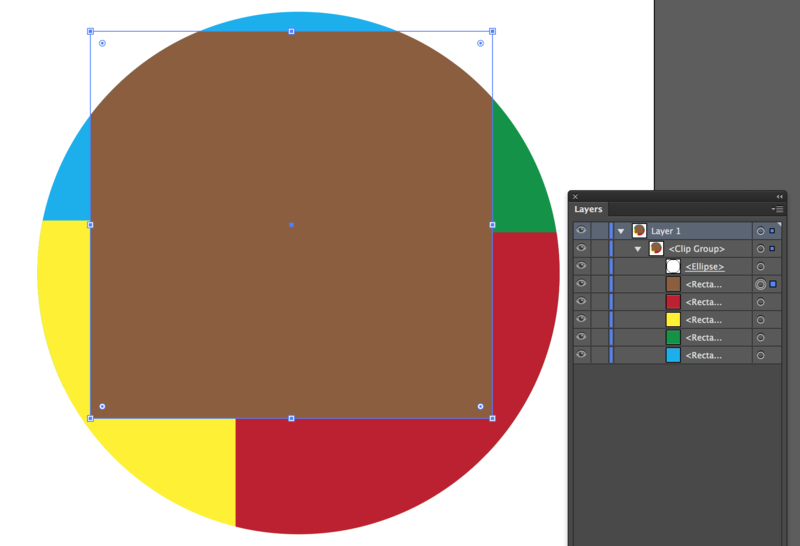 This will rasterize a new image at the full size of any content inside the clipping mask, but everything outside of the clipping mask is now white. You will probably have to reapply the original clipping mask to hide the white—but at least everything hidden by the clipping mask is just white, which should negate the file size issues you were having. This will leave your clipping mask intact and trim everything from the images that are hidden by the mask, it will sometimes create nested clipping masks and will often break up your images strangely though. I just re-read your question and I'm thinking maybe I misunderstood you the first time. This method only works if the images are separated, not if it is really just one collage image with sections masked out. You can go inside the Clip Group and delete whichever objects you no longer want. 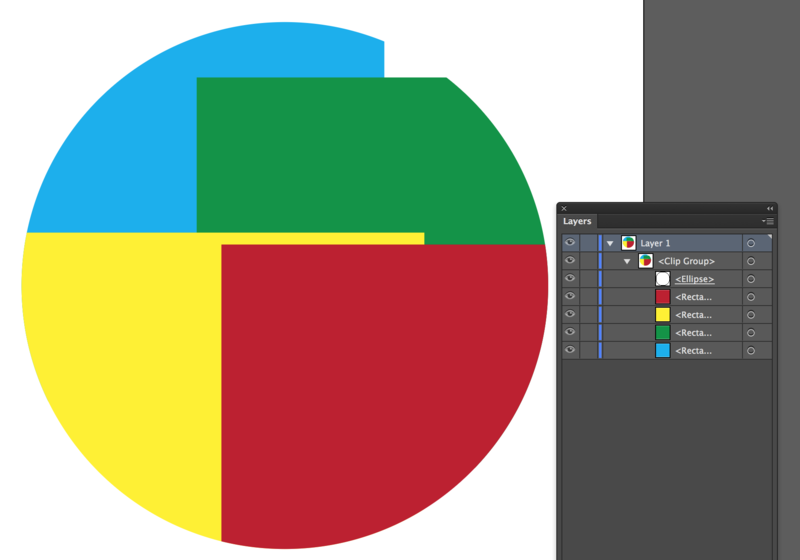 I made this basic group of rectangles inside a circular mask to demonstrate. How to apply a clipping mask to multiple independent paths?